The CK10 Series is fully featured, comfortable, and ready for any job that demands a durable compact tractor. 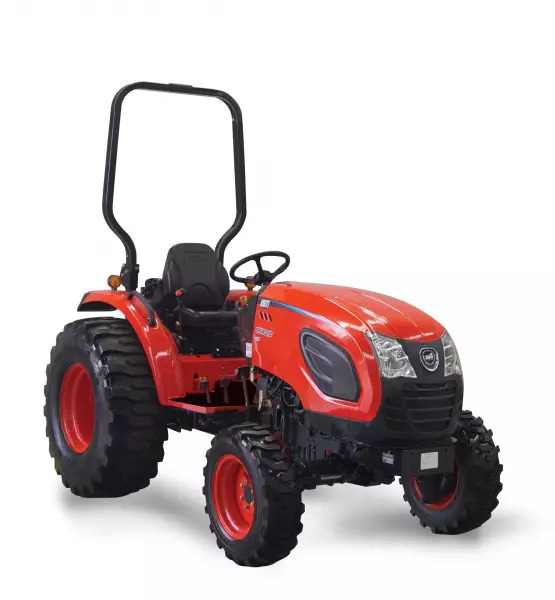 Ranging from 24.5 HP to 40HP, this series of high-performance compact tractors pack impressive power and smooth handling into one dependable workhorse. Front-end loader work is made easier by the use of a single lever joystick. The lever returns to neutral when released. A float position allows the bucket free flotation over the ground surface.